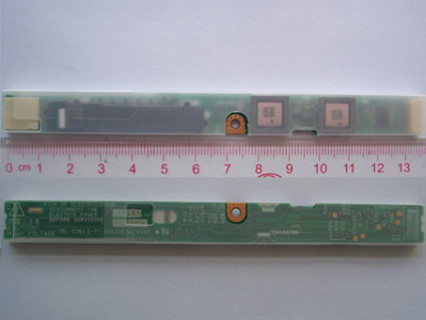 Remark: Please ensure the connector of your original inverter is 9-pin connector, not 7-pin one, if yours is 7-pin, please contact us. 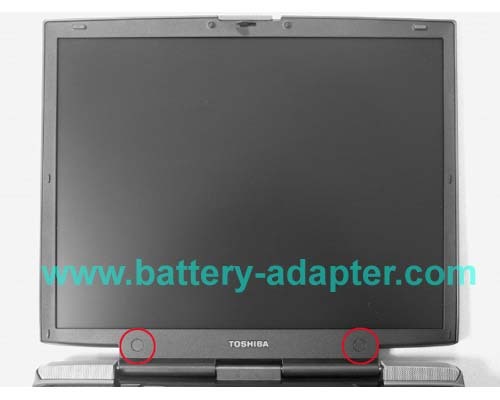 In this guide, the actual laptop is Toshiba Tecra A1. It should also work on Toshiba Satellite A10. 2. Using a sharp object, for example a small flat-head screwdriver, remove two mask seals at the bottom corners of the display assembly. Then remove two M2.5x6 black flat head screws securing the display mask. 3. There are 24 latches securing the display bezel. 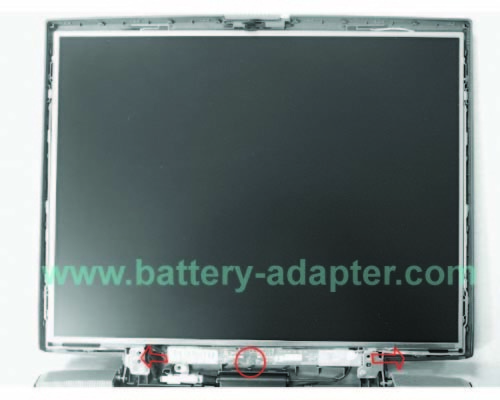 Carefully insert your fingers between the bezel and the LCD panel and pry open the latches starting from the bottom six latches, to the five latches on the right and left sides, ending with the six top latches. Remove the display bezel. 4. Remove one M2x4 brass flat head screw securing the Toshiba Satellte A10 / Tecra A1 inverter board. Carefully lift up the inverter board and disconnect the cabes on the two ends of the inverter. Reverse the procdure to install your new Toshiba Satellite A10 / Tecra A1 LCD inverter and assmeble your computer.